Documents hosting is a service currently provided by many online websites. While all those websites facilitate internet users by providing a valuable service, they have certain restrictions which cannot be overcome. For instance, a type of restriction commonly found is the file size i.e. you cannot upload a file beyond a certain file size (predefined by the website owners). 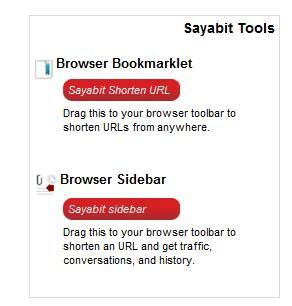 Sayabit is one file hosting website that removes that restriction and makes uploading your files very convenient. To start storing your documents online, first sign up for an account on Sayabit. This is done for free and the only information Sayabit requires is: your desired username and password, and an email address to send the confirmation email to. Now before we move on to Sayabit’s file hosting features, I would first like to cover its bonus feature of shortening lengthy URLs (which I don’t think any other file hosting website has). While the URL length is being shortened, you can specify a term that should be included in the shortened URL. You can also set the activation date, expiration date, and password for your URL. 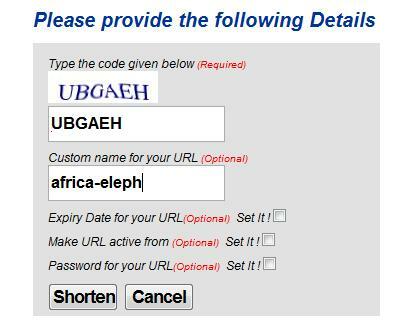 With the Google Images result, the original URL was (http://images.google.com.pk/images?hl=en&source=hp&q=elephants+in+Africa&btnG=Search+Images&gbv=2&aq=f&oq=) and the shortened URL was (http://sayabit.com/africa-eleph ). 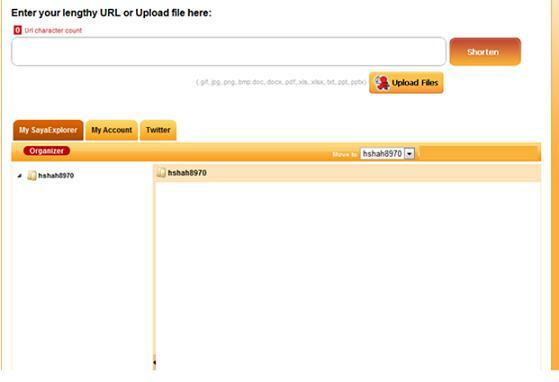 You can click on the ‘Upload Files’ button, browse to the folder where the file is store, and select it. No matter how big, it’ll be uploaded by Sayabit! The file formats Sayabit supports are the ones usually used for documents: GIF, JPG, PNG, BMP, DOC, DOCX, PDF, XLS, XLSX, TXT, PPT, and PPTX. By removing the file size restrictions and introducing various other useful features, Sayabit has taken documents’ hosting to a whole another level.